Experience anywhere, anytime Google professional development. 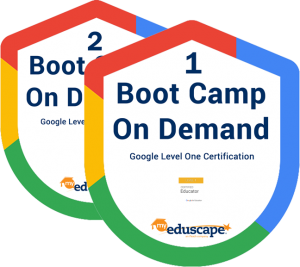 In these online courses you will engage in activities and experiences that will prepare you to take the Google Certified Educator Level 1 and Level 2 Exams. Throughout these online courses, you will complete missions, engage in discussions, participate in live webinars and take practice assessments. Our dedicated instructor will answer your questions and offer guidance. Collaborate and develop relationships with your cohorts. A rare feature for eLearning! Are you new to Microsoft Office 365? You might know about Mail, Calendar, and OneDrive but there’s so much more to explore! Join us for a fully-online, self-paced course that will show you the basics and get you started. You’ll learn the fundamental skills needed to put this suite of online applications to work for you right away. 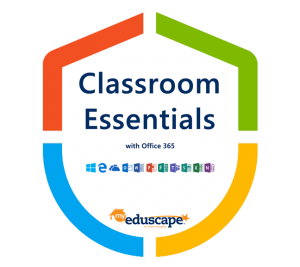 Learn how to integrate MS O365 applications together to help facilitate student collaboration, inquiry, and problem solving. Are you getting started with G Suite for Education? Do you want to strengthen your skills with the core G Suite Apps? Join us for a fully online, self-paced course that will take you through the basics and improve your use of Google Search, Chrome, Gmail, Calendar, Drive, Docs, Slides, Drawings, and Classroom. Complete activities in your own account to practice what you have learned. In addition to learning how the apps work, gather ideas for how the apps can be integrated into the classroom. 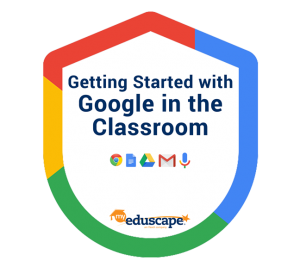 Learn how to use G Suite for Education to move toward a paperless classroom and increase communication and collaboration. 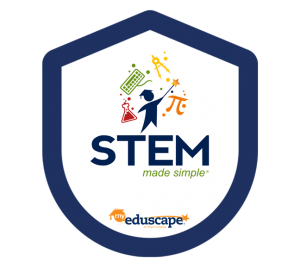 STEM Made Simple is an Inquiry-based program that leverages a student-centered model wherein the 5 E’s (Engage, Explore, Explain, Elaborate, and Evaluate) define the structure of a lesson unit. Supporting methodologies include Problem Based Learning and Project-Based Learning. It is inclusive of all other acronyms including STEAM and STREAM. In this series of online courses, teachers will learn about the definition of STEM, why it matters, and how to apply it in every classroom. Then, they will complete STEM Challenges as students in an online online environment. Coding for Every Teacher is an introductory online course meant to explain how coding relates to everyday applications. The course provides educators with a basic background on the concepts of computational thinking, why coding is important and the elements of programming. 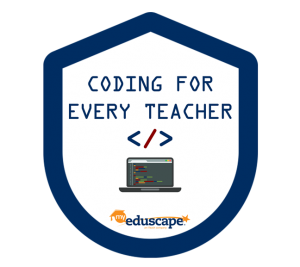 Educators will be leave this course with a better understanding how coding can relate to their subject area.